Recently I told you that we were replacing the floors in our home with the help of Mohawk. 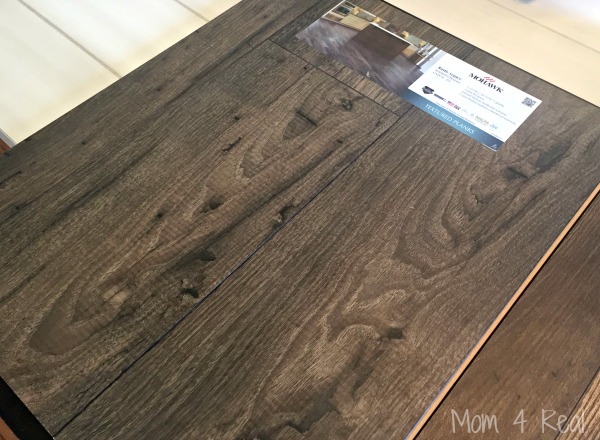 I shared the floors that are currently in our home and showed the 5 different types of flooring we have been living with. I also revealed that we were choosing to have laminate flooring installed. 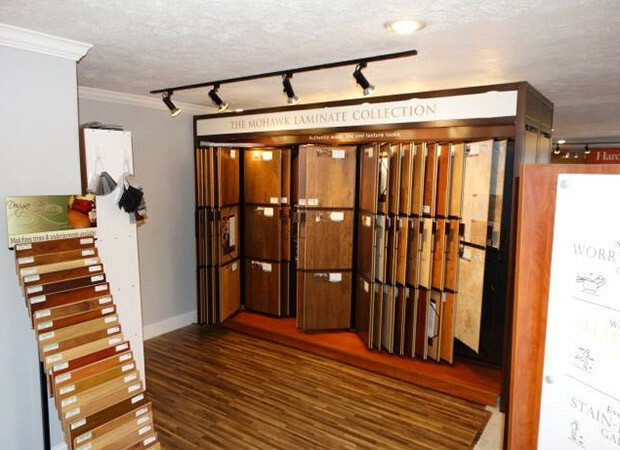 Today I want to talk about why we are choosing Mohawk Laminate, and take a look at some of the options we are considering. We are working with Oser Paint & Flooring on our install. 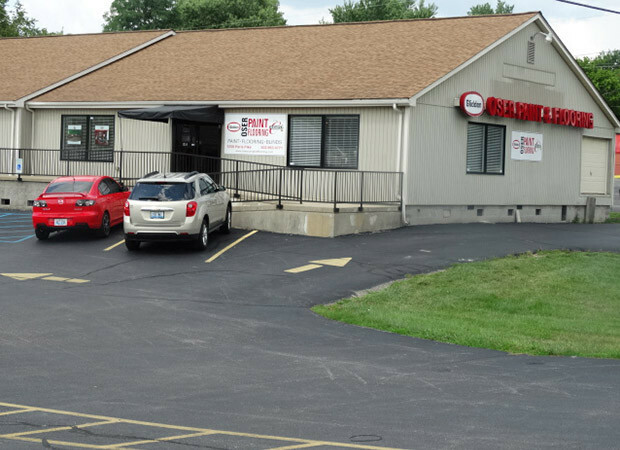 They are a certified Mohawk retailer and their service is top notch! Their showroom is absolutely amazing and full of different options too! Like I mentioned before, we are choosing to have laminate floors installed. After much deliberation, we chose laminate flooring for it’s strength and durability along with the gorgeous options that Mohawk offers. I am choosing from their Rare Vintage line. I’ve been longing for rustic looking floors that will stand up to the high traffic in our home. We have two children that bring their friends over often and we love to entertain, so it’s super important for us to have floors that can withstand our busy everyday lives. It’s also extremely important for those floors to be safe for our family and pets. Mohawk Flooring’s Healthy Home Certification program promises that your flooringis safe and sustainable and meets the health standards as certified by credible third-party organizations. We all deserve the peace of mind in trusting that our flooring is manufactured responsibly and without the addition of harmful chemicals. That’s why Mohawk puts significant resources and rigorous research into each and every product they make. I love that we can feel good about the flooring that our children and pets will be living and playing on! 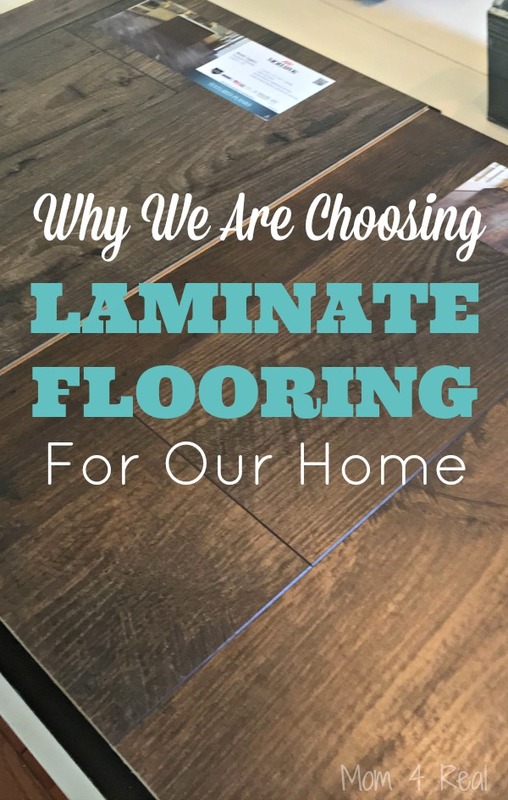 So now that I’ve explained why we chose laminate flooring, let’s take a look at some of my options. 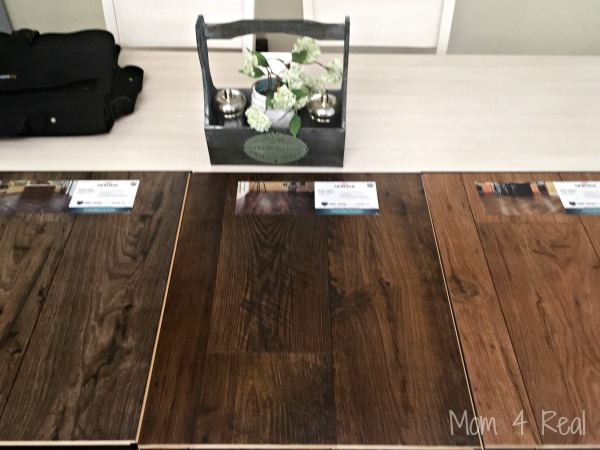 One of my favorite things about working with Oser Paint & Flooring is that they were willing to bring some of the samples that I chose to my home so I could really see what the flooring would look like in my home! I love these three options, and wanted to really see which one would work with our kitchen cabinets and the furniture we have in our home. Being able to place these samples up against our cabinets and under the sofa we recently purchased really helped me make the right decision. I am happy to announce we have chosen Mohawk Laminate Rare Vintage Knotted Chestnut for our home. I love its rustic appeal and it will look amazing with our furniture and cabinetry. I am so excited to have it installed and can’t wait to share the transformation with you! To read this blog post on Jessica’s blog, Mom4Real, visit the site!